Donation of $1000.00 to Children programs in Taiwan. 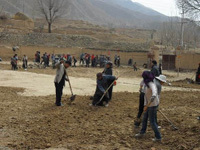 May 2 Donation of $5000.00 to HsioZhang School in Tibet for brick ground construction. Bodhi Education Foundation is a non-profit organization established in Edison New Jersey.This NGO had done many education programs in China for many years. President SueSue Yang knows member of the foundation Mr. Gary Li for quite a long time. In the beginning of the year, Gary recommended a proposal to CHCF requesting to support HsioZhang school in China. 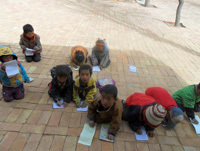 In March CHCF send a check of $5,000.00 to Bodhi Education Foundation to support program in HsioZhang school. 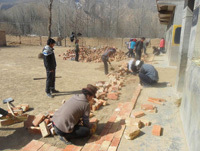 Bodhi Education Foundation used this donation to build a new brick playground for HsioZhang school. The program started in March , finished in May. CHCF received a complete report of this program from Hsiozhang school.